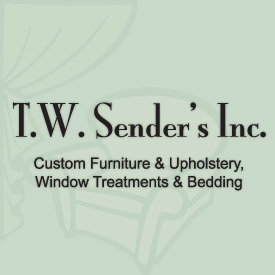 TW Sender’s is the Twin Cities’ only all-in-one solution to the trade for upholstery, custom furniture, and custom draperies, window treatments and bedding. Our wholesale workrooms are the one-stop destination for local interior designers. We understand you take great pride in your work...as you should. At TW Sender’s, you can be as hands-on as you’d like. Visit our workroom to see your projects in process. The fine balance between listening and leading is what makes TW Sender’s the preferred choice of Minneapolis and Saint Paul interior designers. Many out-of-state designers also choose us for our quality workmanship. Come discover what custom upholstery and furniture made easy is all about.